(HealthDay)—Movies, the theater and other cultural events can help you fight the blues as you age. The British study showed that older folks can cut their depression risk by 32 percent simply by going to cultural activities every few months. And if they go at least once a month, their risk appears to drop by a whopping 48 percent. The results are based on a decade-long tracking analysis that stacked cultural engagement—plays, movies, concerts and museum exhibits—against depression risk among approximately 2,000 men and women over the age of 50. They were all participants in the English Longitudinal Study of Ageing (ELSA) and none had depression at the start of the 10-year study. The study's lead author, Daisy Fancourt of University College London, suggested that there are probably many positive "side effects" generated by cultural participation, all of which seem to help tamp down depression risk. "For example, going to concerts or the theater gets people out of the house," she said, "which reduces sedentary behaviors and encourages gentle physical activity, which is protective against depression." Fancourt added, "It also provides social engagement, reducing social isolation and loneliness. Engaging with the arts is stress-reducing, associated with lower stress hormones such as cortisol, and also lower inflammation, which is itself associated with depression." Those points were seconded by Keith Fargo, director of scientific programs and outreach with the Alzheimer's Association in Chicago. "Being socially or culturally active checks a lot of important boxes that may help reduce depression or cognitive decline," Fargo noted. "These activities stimulate thinking, they can evoke enjoyable feelings and emotions, and they often provide opportunities for interaction with others—all things that can enhance mental health." Cultural engagement can even prompt an uptick in the release of the so-called "feel good" neurotransmitter dopamine, Fancourt added. And taken as a whole, the end result is very likely not only a lower risk for depression but also lower risk for dementia, chronic pain and even premature death. "So in the same way we have a 'five-a-day' [recommendation] for fruit and vegetable consumption, regular engagement in arts and cultural activities could be planned into our lives to support healthy aging," she advised. Fancourt is a senior research fellow in the department of behavioral science and health with the Institute of Epidemiology and Health Care at University College London. She and her university colleague Urszula Tymoszuk outlined their findings online recently in the British Journal of Psychiatry. 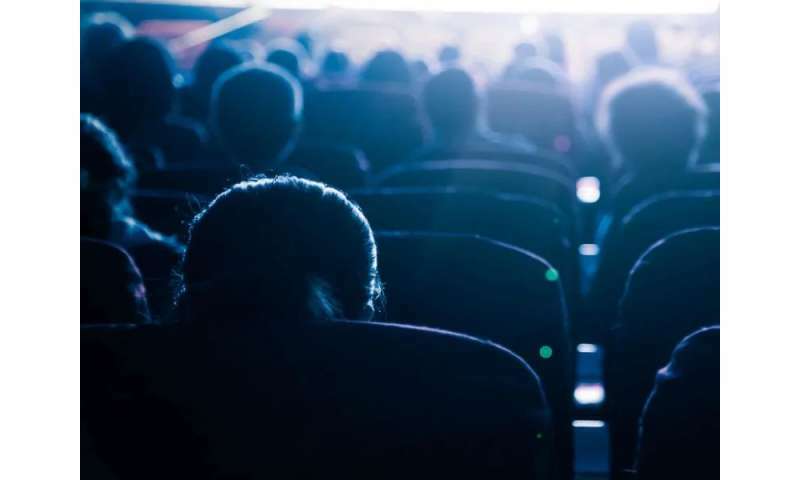 The ELSA study used interviews and surveys to gauge both depression incidence and the frequency with which study participants attended the theater, concerts, the opera, movies, art galleries and/or museums. While only an association was seen and not a cause-and-effect link, the results held true regardless of an individual's age, gender, health, income, educational background, relationships with family and friends, participation in non-arts related social groups, and/or exercise habits (or lack thereof). The results even held apparently for those with a predisposition to depression. Turhan Canli, an associate psychology professor at Stony Brook University in New York, described the findings as "interesting" and "intuitively appealing." "[So] if you enjoy cultural engagement, enjoy," he said. "If you never tried it, give it a try. If you think you hate it, but actually never tried, try to keep an open mind, perhaps you will surprise yourself." More information: Daisy Fancourt, Ph.D., senior research fellow and Wellcome research fellow, department of behavioral science and health, Institute of Epidemiology and Health Care, University College London, England; Keith Fargo, director, scientific programs and outreach, Alzheimer's Association, Chicago; Turhan Canli, Ph.D., associate professor, department of psychology, Stony Brook University, Stony Brook, N.Y.; Dec. 13, 2018, British Journal of Psychiatry, online. The U.S. National Institute of Mental Health has more on aging and depression. well annoyingmousie, it worked for you! You fave finally achieved the official status as a russian woobot. I'm sure your pimp putin & his KGB alumni are very proud of how effectively they have programmed you.